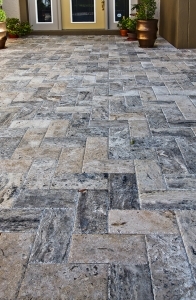 Silver 6×12 Chiseled edge pavers add a regal look to your project. Chiseled edge and Brushed and Chiseled are beautiful finishes that give your pavers that “old world” or rustic look with the rough edges that you would find is extraordinary places like castles from the Renaissance. 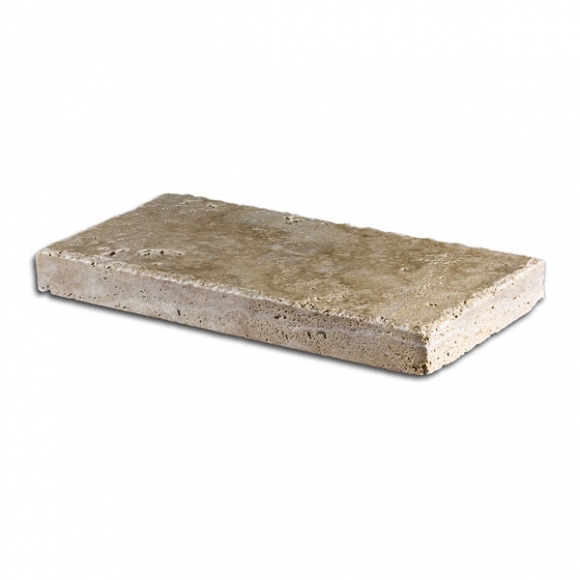 Chiseled edge paver comes mostly in 6×12 x 1 ¼” thickness. With its honed unfilled finished, chiseled paver can be installed easily in several designs, or to be used as borders around the certain area of your home to compliment or otherwise contrast. 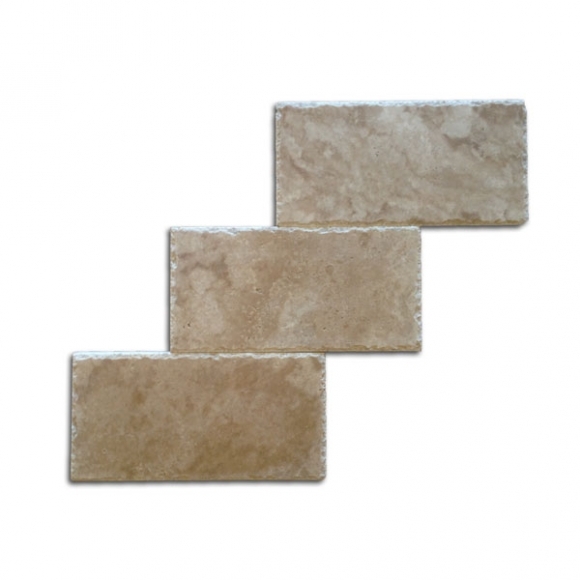 Available colors are Classic Ivory, Medium, Walnut-Noce, Gold, Silver, Scabas, Leonardo, Country Classic, Autumn Blend and Cappadocia.